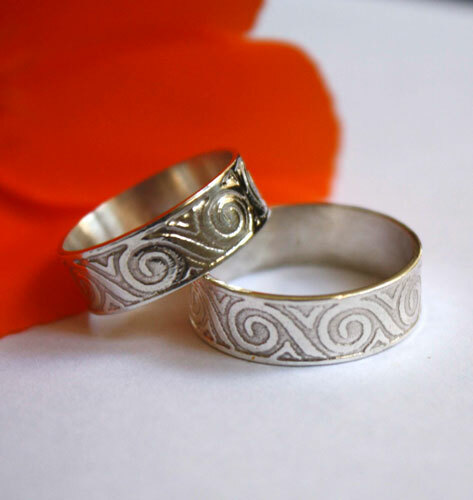 These sterling silver rings have been made according to the wishes of a future married couple looking for a set of ring like them. So they spent the command of alliance based on an existing pattern in our shop under the name of Poseidon, but made of brass. 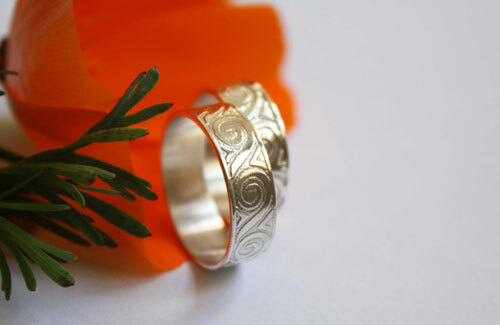 These jewels have been customized by the choice of metal, sterling silver, and widths that wanted this couple. I chose to name this custom jewelry command Oceanid, to stay in the sea theme inspired by this wave pattern and the name given to the other rings of the same series, Poseidon and Neptune. 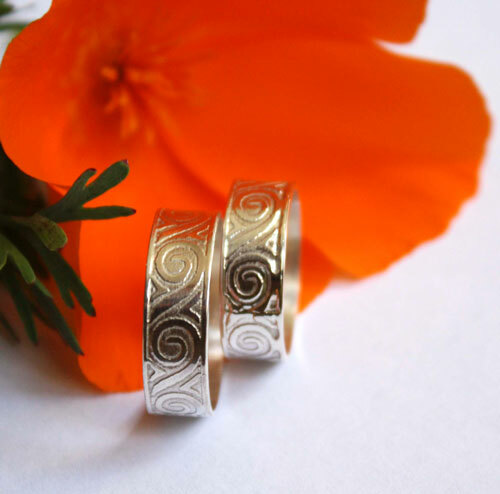 This set of rings is made with a wave pattern unleashed under the effect of the wind on the sea. It is derived from the meander of ancient Greece who find themselves as beautifully carved, painted or mosaic. They decorated the homes, temples, pottery... throughout the period of ancient Greece and during the Roman era. This is a custom order. 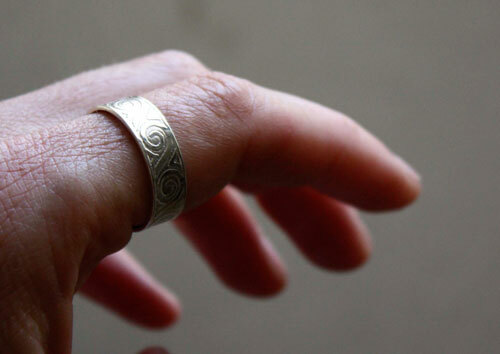 Please, specify your ring sizes when you order them. Thanks! 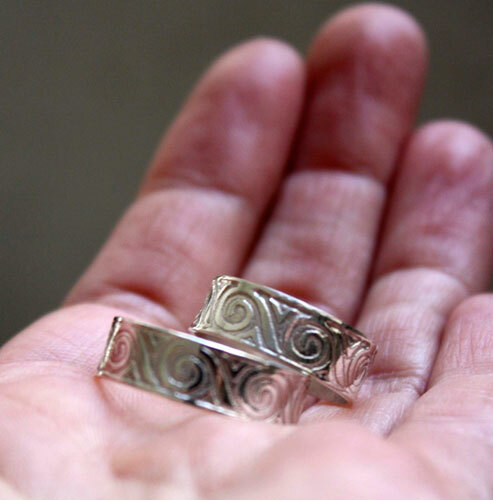 Tag: ring, silver ring, waves, unique, greek, Greece, gift, valentine, mother’s day, birthday, relief, mythology, Poseidon, storm, frieze, meander, Neptune, Oceanid, sea, ocean, wedding custom order, custom made.